99 Cent Murder at Midnight, Volume 1 Bonus! 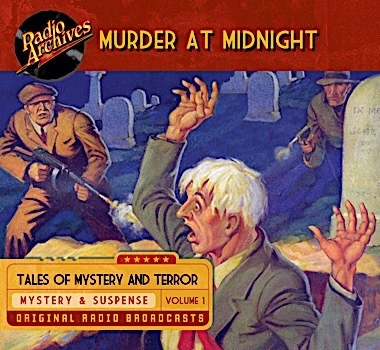 The brand new Murder at Midnight, Volume 1 radio set is only 99 cents through November 5th, when you place any order for $25 or more. * Now add Murder at Midnight, Volume 1 to your shopping cart as well. In a hundred thousand homes, families sat down together at the supper table. A few hours later, those persons were dead — killed by poison in canned foods! Thousands of women used cosmetics, and acid made their faces forever hideously scarred. A master criminal, daring and clever, was ruthlessly slaughtering Americans to win immense illicit profits for himself. Only one man was powerful enough and wise enough to stop this wholesale murder — Richard Wentworth, champion of oppressed humanity, better known as the Spider. And the Spider was engaged in the bitterest battle of his career, fighting the Avenger, a false, wily crusader who was determined to destroy him! 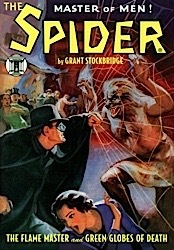 Norvell W. Page, writing under the pseudonym of Grant Stockbridge, Page remade the Spider into his own psychic twin, often dressing up as the Master of Men when delivering his monthly manuscripts. 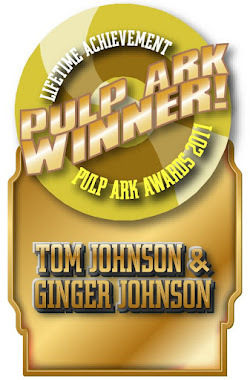 Page took Spider readers on a roller-coaster ride of wild action and fevered emotion unlike anything ever published before or since. Once he got going, Page painted a portrait of a tortured superhero, one much more emblematic of the 21st century than of the Great Depression. For Richard Wentworth saw himself as a man on a holy mission, a self-appointed messiah with a martyr complex. A Christ covered in cobwebs. 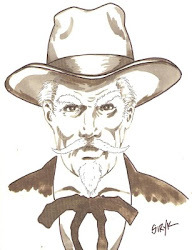 He was the champion of oppressed humanity, its shield and protector against the murderous outbreaks of the Underworld; wherever crime struck terribly, that way he hastened, taking up the challenge. 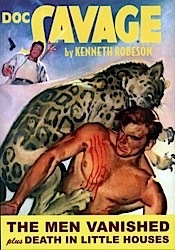 The police had offered rewards totaling thousands of dollars for his capture “dead or alive.” And the Underworld hated him, and plotted his destruction with a fierceness bred of abject terror. 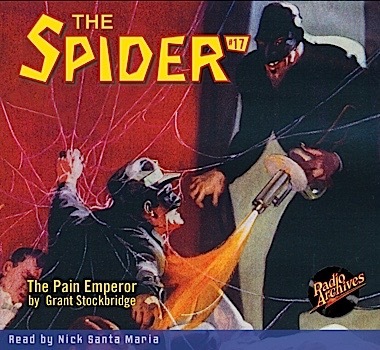 Nick Santa Maria breathes life into the Spider in The Pain Emperor. Originally published in The Spider magazine, February, 1935. A couple of years ago I purchased your set of Mercury Theater programs. They are my favorite !!! 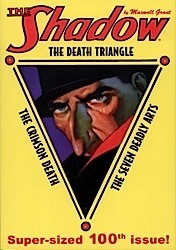 I received my latest order yesterday and I'm already five chapters into THE SINISTER SHADOW! Great book! Also, my wife and I listened to the first two episodes of CHANDU over breakfast. Radio Drama is a great way to start the day with a smile. And the fact that the pictures are all in your imagination lets you go about your daily chores without having to sit in front of the TV to see what's happening. 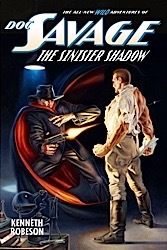 You have very quickly become my favorite store, and my automatic go-to place for all things Doc Savage!